Digital Color Envelope Printing. Creating an Edge to Your Envelope. Marketers face fierce competition in getting a recipient’s attention for a direct mail piece. For some, utilizing the space outside of the envelope provides that necessary edge. A variety of envelope printing solutions exist to serve this purpose. Beyond address printing, the availability of fast turnaround, high-quality color printing systems offer advanced envelope printing for mid- and high-volume production environments, bringing new opportunities to direct mail. Production environments that regularly produce mailing applications benefit from digital envelope printing solutions. In addition to addressing, these devices print color messages, logos, and art on the outside of the envelope. The adoption of digital envelope printing solutions offer print service providers (PSPs) the same advantages inherent to digital, including cost-effective short runs, fast turnarounds, personalization, and quality that rivals offset. These devices improve TransPromo capabilities and reduce overhead, as it eliminates the need to print or store pre-printed shells, comments Jesse Heindl, marketing and communications specialist, RISO. Kim Beswick, GM, office and desktop division, Memjet, points out that inkjet-based digital envelope printers enable high-margin services, including full-color bleeds—even on windowed envelopes, personalization, and other design elements that enhance envelopes and improve direct mail response rates. Additionally, Lou Stricklin, director of product marketing, OKI Data Americas, argues that mid- to high-volume production environments have the ability to address new and wider customer applications and requirements, which can lead to revenue and profit growth for print shops, as well as allowing new elements of differentiation that create greater competitiveness. “Benefits include the ability to keep in-plant work in house, which can lead to shorter turnaround times and lower cost as well as higher open rates and more effective messaging for users of the print shop or in-plant department’s customers,” adds Stricklin. The biggest benefit and purchase motivator however, is cost savings. 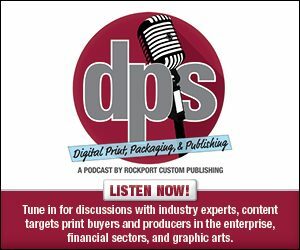 Digital color inkjet envelope printers are extremely cost efficient and can pay for themselves very quickly, according to William Longua, senior director, digital print group, Neopost USA. He explains that by reducing total operating costs and printing faster, the profitability/cost savings are improved by 200 to 300 percent over toner-based solutions. “The productivity boost from higher print speeds also gets more work done in a shorter period of time, resulting in lower production environments that can increase overall revenue by bringing in more jobs. Simplicity is efficiency—with fewer materials to tie up money in supplies,” explains Longua. There are challenges as well. These fall in line with common issues PSPs and in plants face when introducing digital. Adopting a digital solution requires the marketer to learn a new way of producing envelopes. Fortunately, these digital solutions are easy to operate and do not require much training. The technology is limited in some respects to the degree of creativity the user can apply to the customer’s unique application. Stricklin argues that the ability to manage data effectively, apply proper color matching techniques, and produce an aesthetically pleasing end product are important. Incorporating envelopes designed for a digital printing process, with attention given to display windows, folds, flaps, and seals, tend to deliver the best results. “Designing an effective envelope exterior through careful planning and a strong attention to detail will mitigate any significant challenges that arise along the way,” adds Stricklin. Many multifunction products (MFPs) suited for production environments offer the ability to print onto envelopes. However, devices dedicated to printing envelopes offer their own perks when compared to MFP options. Standalone digital envelope printers allow businesses to increase mailpiece effectiveness by printing high-quality, variable, full-color texts and images on standard envelopes inline within a mail inserter. According to Grant Miller, COO, Pitney Bowes Document Messaging Technologies, this eliminates inventory of pre-printed remittance envelopes and inserts, while also increasing the versatility and personalization of each mail piece. “At Pitney Bowes, our Print+Messenger color inkjet system and Print+Response inkjet module help clients streamline print and mail operations and achieve the significant benefits of a complete end-to-end White Paper Factory,” explains Miller. By taking a difficult job for MFPs, which are meant to primarily run flat sheets, and putting that burden on a machine that is specifically designed to handle them is a win/win. Longua points out that it increases overall capacity so bigger units can keep running large run jobs where they are more profitable and better suited to run. “Since many of those units use click charges, it can be expensive to print envelopes or postcards because they don’t care if the piece is 3×5 or 10×13 inches—a click is a click. Our solutions, especially inkjet, are efficient in that you only pay for what you print,” argues Longua. Beswick agrees, suggesting that MFPs are not set up to handle envelopes from a paper handling perspective. This is due to paper path assemblies that can cause jams and/or poor print quality. Having a dedicated printer capable of printing envelopes allows for proper handling of the envelopes, which not only eliminates jams, but also makes room for consistent print quality, unattended operation, and increased productivity. A variety of envelope printing solutions are currently available. Finding the right solution depends on the size and objects of the operation. DDS provides its iDataPrint H500 Monochrome and iDataPrint H500 ColorSpeed CMYK envelope printers. Both feature a 4.25-inch print module that incorporates proven HP Scalable Print Module technology. The DDS iDataPrint controller and iDataPrint Layout Designer software provide high-quality production for variable data envelope printing up to 500 feet per minute. Formax offers the ColorMax line of digital color printers, including the ColorMaxT5 Digital Color Multimedia Printer. This device is designed to produce professional-quality output, up to 50 pages per minute (ppm), and has the ability to print CMYK plus white toner in a single pass. The device is dry toner based. Advances in inkjet technology, combined with the innovation of today’s solutions providers, bring an expanded range of capabilities that help printers create a greater level of engagement. Memjet-powered digital inkjet solutions let printers and marketers offer a wider, more creative range of envelope options to their customers, including variable data, color, full bleeds, and even printing on unique materials such as cardboard, duplex, and windowed envelopes. “Some examples of these solutions on the market today are the Trojan3 Over-Printer, this system brings a brand new range of functionality to envelope printing. It can be mounted in any host system that runs at speeds of up to 18 meters per minute,” says Beswick. “Another is the Halm-JetPress D415MJ, this inkjet press brings fast speed, impressive quality, and remarkable affordability to the envelope market. The versatile four-color press combines seamless envelope imprinting with the ability to produce long- or short-run jobs with variable data. The Halm press can print 32,000 full variable color envelopes per hour at 1,600×1,375 dpi, making it a valued resource in today’s evolving print and direct mail businesses,” explains Beswick. Neopost offers the AS-970C Mach5 Printer, which allows mail centers, print shops, and marketers to take advantage of color printing fidelity and printing speed across a wider variety of paper and label stocks. It is well suited for applications such as envelopes and stationery, wedding, birthday, holiday cards, and special event invitations printing, mail addressing, barcoding, and postage printing. OKI’s C900DP series is ideal for print shops seeking to broaden their services by offering short-run and variable data printing with high-definition colors with production runs of 5,000 or less. The C900DP series uses toner with true 1,200×1,200 dpi resolution, and offers a monthly duty cycle of 300,000 pages. For transactional mailers, Miller suggests the Print+Messenger solution for envelope printing. “We leverage our data about each mail piece to dynamically adjust the distance between the printheads and envelope to consistently print high quality, vibrant images. Our custom formulated, fast drying ink doesn’t require a dryer, and the system’s self-servicing features mean that minimal printer expertise is required within the inserter workcell,” suggests Miller. Print+Response from Pitney Bowes allows high-volume mailers to print personalized remittance envelopes and insert them in-line. It delivers high quality 600 dpi image resolution in full color or monochrome at speeds up to 26,000 mail pieces per hour. Miller suggests adding creative elements to envelope gives the print or marketing service provider a way to expand their business by providing an extra level of value to their clients. RISO’s ComColor FW Series and the ComColor GD Series of full color, cutsheet inkjet printers handle envelope printing. The FW is a compact, reliable office model that produces up to 120 ppm and prints on plain envelopes. The GD delivers up to 160 ppm. The GD also has an optional Wrapping Envelope Finisher that prints variable data in full color on both envelope and inset, fold and seal all in one pass, according to Heindl. Spiral offers the Memjet powered iJetColor Press Performance Bundle, which includes everything needed to print four-color personalized envelopes and direct mail. Xanté offers its Impressia Digital Multi-Media Print Systems for full-color letterhead, cards, envelopes, forms, brochures, mailers, labels, and banners. The system is driven by the included iQueue Prepress Workflow. It offers print speeds of up to 78 full color #10 envelopes per minute and a resolution of up to 2,400 dpi. The company says that output is waterproof. Getting a recipient’s attention for direct mail is challenging and marketers often face immense competition to stand out. Utilizing the space outside of the envelope allows for fun personalization and the edge needed to stand out. Envelope printing equipment serves this purpose. A range of solutions are available today. These products enable print providers and marketers to add value to mail. This opportunity is especially present for mid- to high-volume production environments looking to make a statement.